Did you ring in the New Year with a flute of Champagne? Honestly, we wouldn’t blame you for hiding your nice flutes from rowdy NYE party-goers, but for quieter occasions there’s no substitute for a lovely flute. Aside from simply looking elegant, drinking from the right glass enhances your experience of the wine. Because Champagne and sparkling wines are served chilled, it’s very easy for the heat of your hands to warm them prematurely. 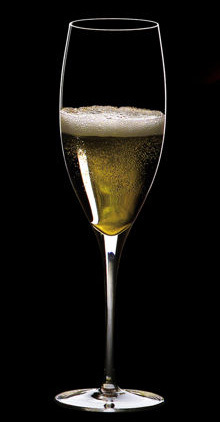 Champagne flutes with long stems allow your beverage to stay cool longer because your hand makes contact with the stem of the glass; it does not cup the wine itself. Furthermore, the bowl of the glass is specifically crafted to maximize your beverage’s bubbles; the opening is narrow, meaning the surface area is reduced, which makes the bubbles last longer. While Champagne saucers are frequently found at wedding celebrations, their large surface area causes bubbles to dissipate rather quickly. While this may be okay for sweeter sparkling wines, these saucers tend not to do justice to the more-common, drier ones. Some people also prefer to drink sparkling wine from regular white wine glasses (mainly for the benefit of experiencing its nose.) Usually, however, good Champagne glasses, like a set of the Riedel Wine Collection Champagne glasses will be perfect for your sparkling beverage. If you’ve got a good wine, why not use a good glass to enjoy it to the fullest? 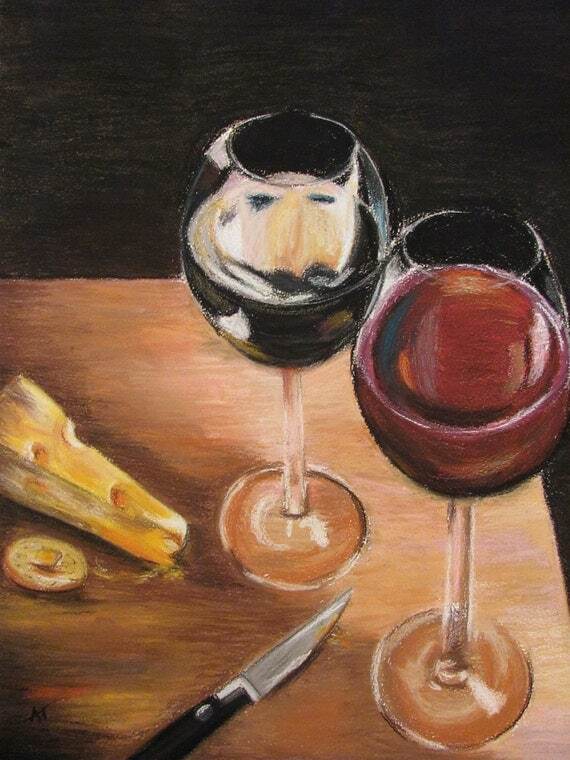 Shall we toast? Decant, and Taste the Difference! In a previous post, Dine With Open Wine, we discussed some of the benefits of decanting wine. While it’s one thing to read about what decanting does to a wine, experiencing it is another matter. And what better way to experience the dramatic impact decanting has than to conduct your own comparison of decanted and non-decanted wine at home, or with a group of adventurous guests? You’ll obviously need a good bottle of wine–try this with one of your favorites to really appreciate the effect–and a decanter such as the Riedel Cabernet Wine Decanter or, if you really want to impress, the Riedel Ultra Magnum Decanter. Next, make sure the glasses you’re using match the wine you’re serving. 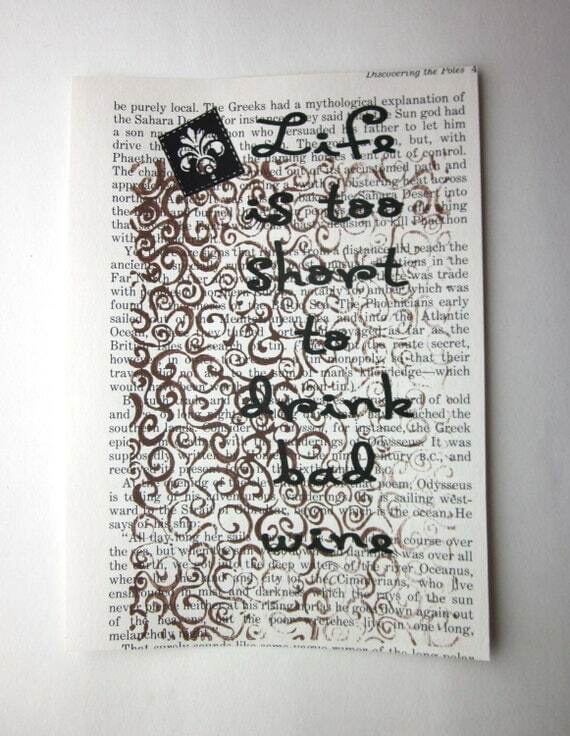 (For instance, don’t use white wine glasses if you’re pouring Merlot, etc.) Wondering about the variety of wine glasses available? 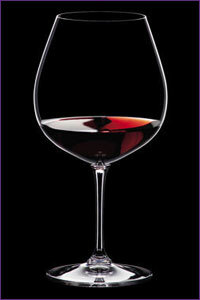 Check out our article on types of wine glasses in the Education Center. Ready to shop? 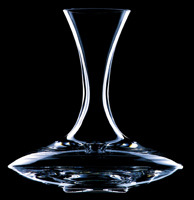 We have a full line of Riedel glassware. After you have selected your wine, open it and fill a set of glasses with it directly from the bottle. Next, gingerly pour the remaining wine into the decanter of your choice. (N.B. 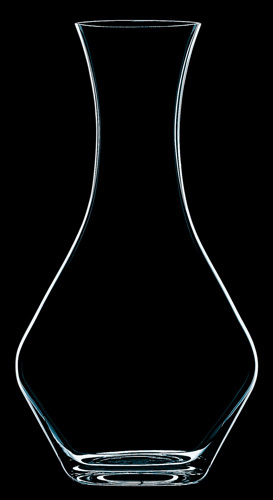 Most decanted wines begin to open in minutes, so it’s best to serve them shortly after decanting.) Have your guests smell and taste their wine which came directly from the bottle. Now, pour the decanted wine into a second set of glasses, and let your guests compare the boutique, taste, and finished of the decanted wine with that which was not decanted. It’s a guarantee you’ll see many wide, pleasantly-surprised eyes! While decanting will not make a “bad” wine into an instant winner, it will certainly enhance the appeal of average wines, and substantially augment the pleasure of exceptional wines. Still not convinced? Try hosting a decanting party and taste for yourself! The reward is worth it! For more detailed information about decanting, or other wine-related topics visit our Wine Storage Education Center online. Happy decanting! Dads deserve appreciation all the time, but it’s especially important to make Father’s Day the one day that your dad will remember forever—or, at least, until next June. And today, you’re in luck: if your dad is into sports or wine, you can sit back and let Vintage Cellars take the work out of shopping for the perfect Father’s Day gift. If your Dad spends most of his weekends on the golf course, check out our line of Mulholland Leather Bags and Golf Equipment. Help Dad relax and have fun with the Endurance Sunday Bag, an all-leather bag designed for the practice range, short-yardage courses, and casual games of weekend golf with buddies and brothers. Or, if he wouldn’t part with his current bag, a Golf Ball and Tee Holder might be a good bet. This beautiful piece holds three balls and four tees, and the leather loop and buckle allow Dad to easily attach it to his favorite golf bag. If your father isn’t into golf, the All Leather Shoe Bag or Endurance Shoe Bag can be used to carry shoes for all sports: cleats for football or baseball, running sneakers, bowling shoes, or even wrestling and volleyball shoes. And, of course, both bags work well for golf shoes, too. If your father isn’t the most athletic of men, Vintage Cellars has you covered. Help Dad create a relaxing environment with our Rogar Estate Wine Opener with Antique Bronze Finish, Hardwood Handle, & Table Stand. 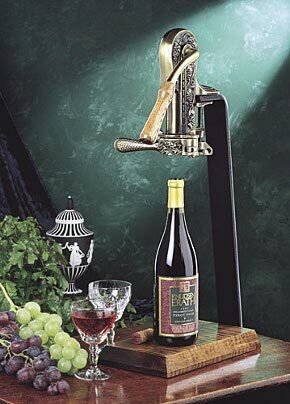 This magnificent showpiece adds style to any wine room, kitchen, living room, or den. If Dad liked to keep things simple, our Rogar Estate Pewter Wine Opener would make a perfect addition to his wine accessory drawer. For other ideas, our complete collection of Rogar Accessories is worth a look. If fancy wine openers aren’t Dad’s thing, try our Riedel “O” stemless glassware. The Complete Stemless Wine Glass Collection is a set of 12, each specially designed to enhance the flavors of a separate wine varietal. If Dad doesn’t need a large set, you can get him the set of 2 “O” wine glasses that is suited for his favorite wine, such as these”O” Cabernet/Merlot Stemless Wine Glasses. If your dad’s perfect Father’s Day gift isn’t featured here, you can always contact us with questions as you browse the rest of our online catalog. Happy Father’s Day from Vintage Cellars! In addition to looking sophisticated and fun, wine glasses come in various shapes and sizes to bring out the best in your wine. 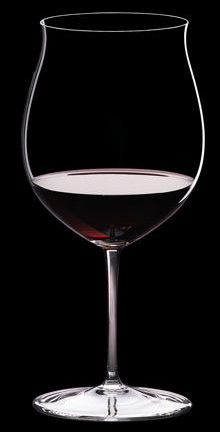 For instance, a typical red wine glass is larger and more rounded than a glass designed for whites. 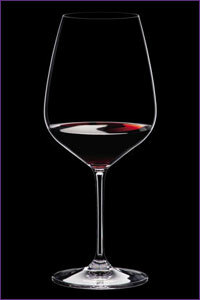 A prime example of an excellent red wine glass is the Riedel Vinum Classic Burgundy. This allows more air to come into contact with the wine, provides additional space for adequate swirling when opening, and also better accommodates your nose when enjoying the complex scent of a red. 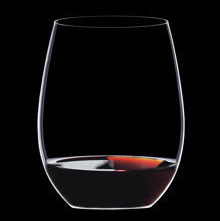 Some stemless red wine glasses, such as any from the Riedel O Wine Glasses collection, have even larger openings and are particularly nice for these reasons! 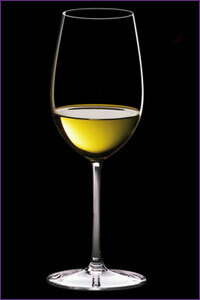 White wine glasses, being thinner and taller, keep wine at a cooler temperature for longer. 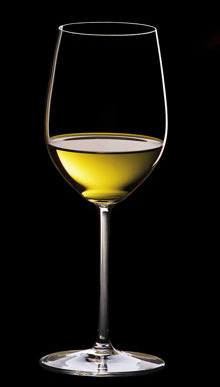 A good example of a typical white wine glass is the Riedel Sommeliers Chablis/Chardonnay. 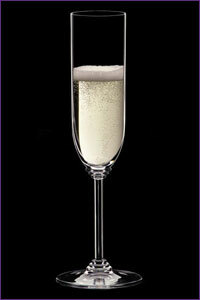 Sparkling wine glasses, also called flutes, are very narrow. Even if you’re new to the world of wine, you’ve probably used them at least once when drinking a toast at a wedding. The Riedel Sommeliers Vintage Champagne glass (right) is a good, typical example. 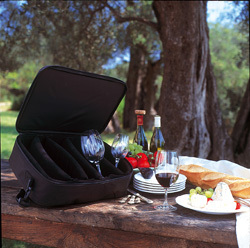 Their narrow shape helps to preserve the wine’s carbonation. Lastly, dessert wine glasses are almost always smaller than the others. Designed to rush sweet wine to the back of the tongue so its sweetness is not overpowering, they typically range from near shot glass size to a little smaller than a sparkling wine glass. They also tend to have shorter stems. 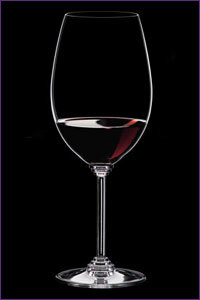 Crystal-clear wine glasses are often ideal, especially when visually inspecting your wine. 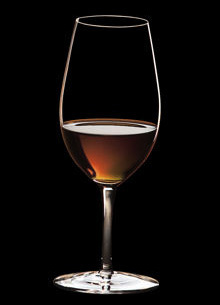 Though it’s hard to tell from the picture, the Riedel Sommeliers Vintage Port Glass is a good example of a dessert wine glass. Blown glass, which is particularly thin, is quite good for both visual inspection as well as tasting; you can take smaller sips of wine because the lip of the glass is not as thick. (Remember to be gentle if toasting with thinner glasses, though!) Although it’s not essential to drink wine from the proper glass, choosing the right type of glass to complement your vino will definitely enhance your overall experience.